I bought this phone in Italy in 2004. It worked fine that summer but now the cover is very loose on it and the plastic hinges in the phone that keep in the battery in place are bent and if I don't hold the phone just right, I lose power. It had great reception in Europe. Never could get the SMS option to work despite going to two TIM store (where I bought it) and a T-Mobile store in Germany. Expensive (70 Euro) and not worth it. i bought this phone last year in august. it still works ok.no problems with the joystick. the only problems i have are with the software which has slight problems with some sim cards and the battery which now last no more than 2 days(it doesn't make much difference how much u talk on it).when i bought it tha battery lasted 3 days. 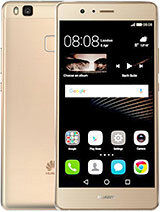 DO NOT BUY THIS PHONE!!!!!!!!!!!!! Oh My God, its the attack of the pod phones! Good one! where to find english manual? How's the mobile? Is it working good? I got a GM882 and i'm glad with it.. I trade my Nokia 8210 for an Telit g82. Was that a great or a bad deal ? I'll like to contact a Telit Master Distributor. I coulodn't find any iformation about phone menu, GPRS or WAP settings.I think you should consider introducing that kind of information about the phone. hiHow are you ?Please give me that what you see!! How much money that I should spend for this unit? is it possible to activating in Indonesia? Helo.Iwant a Telit G 82 for my sister because is her birthay and I wont to make her a surprise.